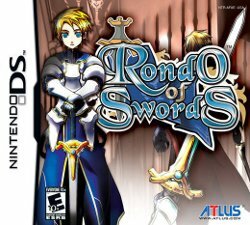 Rondo of Swords (Itsuwari no Rondo) is a strategy/role-playing video game developed by Success and published by Atlus for the Nintendo DS. The game was released in Japan on August 9, 2007. This is the story of the war of the Bretwald Kingdom; the continent that's situated at the center of Bravord, against the empire; Grand Meir. After the funeral ceremony of the fallen king. The neighboring empire; Grand Meir sent their soldiers to attack the knights of Bretwald. Which several men have fallen by their hand. The only survivors, led by Serdic, fled to the Federation of Shalem Emirate. This page was last edited on 20 March 2009, at 00:00. This page has been accessed 9,491 times.